Money market mutual funds used to be the next step up you would take after you had enough money in your bank account. The value of your money wouldn’t change and you could use it as a sweep account for your investments. It seemed like a win-win. All that has drastically changed since the financial crisis of a few years ago. Now money market mutual funds should be avoided except in very rare instances. How has the bank account rebounded to surpass the money market mutual fund? Here’s a few reasons. When you deposit money into a checking or savings account with a bank that has FDIC coverage, you can never lose that money due to bank failure as long as the total amount of money you have in the bank at all accounts is lower than the FDIC limit of $250,000. In the event your bank does fail, the FDIC steps in to take over operations. You might not be able to access your funds for complete withdrawal for a few days (your ATM/debit card should still work), but the money is still there. You’ll be able to withdraw it shortly after the failure. In comparison, money market funds do not have FDIC insurance. The funds’ goal is to keep all of your money invested so that it holds its value. Each $1 is worth $1. That worked up until a few years ago where a popular money mutual fund dipped below the $1 value. If you had $100,000 in the fund it might now only be worth $98,000. Investors freaked out and started pulling money out of money funds all over. The bottom line is it is still a mutual fund, not an insured type of account. If the fund were to go under, your investment is at risk, just like any other investment. You used to be able to get bank-beating yields on money market funds, but that is no longer the case. The low interest rate environment has pounded all kinds of interest-bearing accounts into submission, but money funds are the lowest of all. Not only are yields significantly lower on money market mutual funds, but there is also the hidden cost of expense ratios. When you put your money into a bank account, you know whether or not you are going to be charged a monthly fee. That monthly fees comes out of your account. 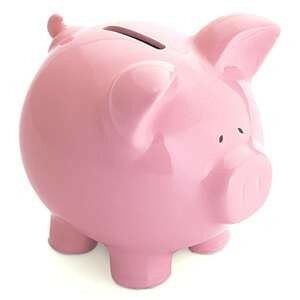 However, many savings accounts are available that do not charge any fees at all. You get interest at no cost. Money market mutual funds have expense ratios associated with them. Even if they range from 0.2% to 0.75%, that’s still a huge chunk of money coming off the account. This is especially true when you factor the yields into the equation. Bottom line, if the yield on the account is 0.03%, ant expense ratio above that is actually costing you money at the end of the day. Why would you accept that when you could open up an online savings account and earn 0.8% right now, cost free?